Using our crane lorries and mini excavator, as well as old-fashioned hard work, we transform jungles and desolate plots into oases of calm. We clear the land, then grade it, creating features, roundabouts, raised flower beds, etc. 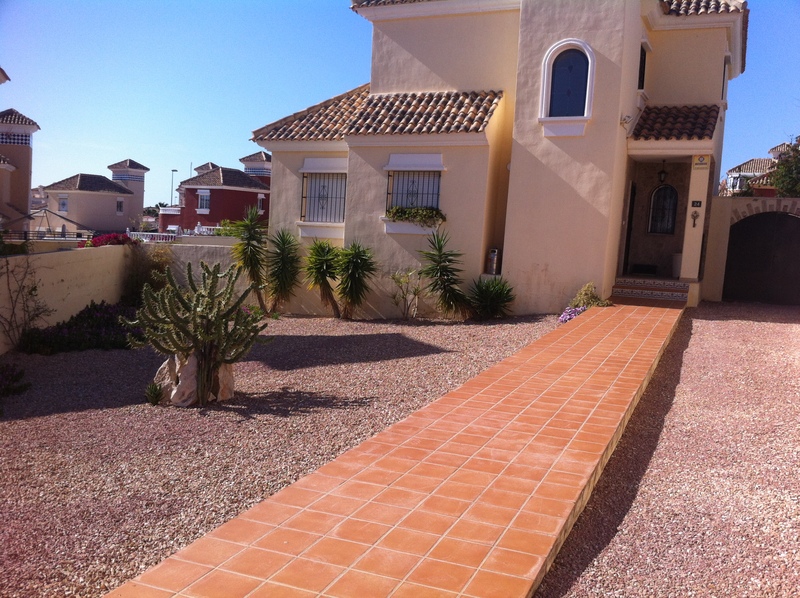 We carry out all required building works, such as patios, walls, paths, tiling, etc. We discuss Garden design with customers and we can supply and plant Palms, trees and shrubs from our own plantations and nurseries. We have huge experience in laying down a continuous, woven, top grade, anti-weed membrane, topping off with 40mm – 50mm of gravel (the customer can choose the size and colour). Our machines make short work of an otherwise back-breaking job. Ask us for a quote, today! Just pace out the area to be covered and we will give you an immediate price. Really this work is not worth considering doing yourself, unless you have an osteopath in the family! 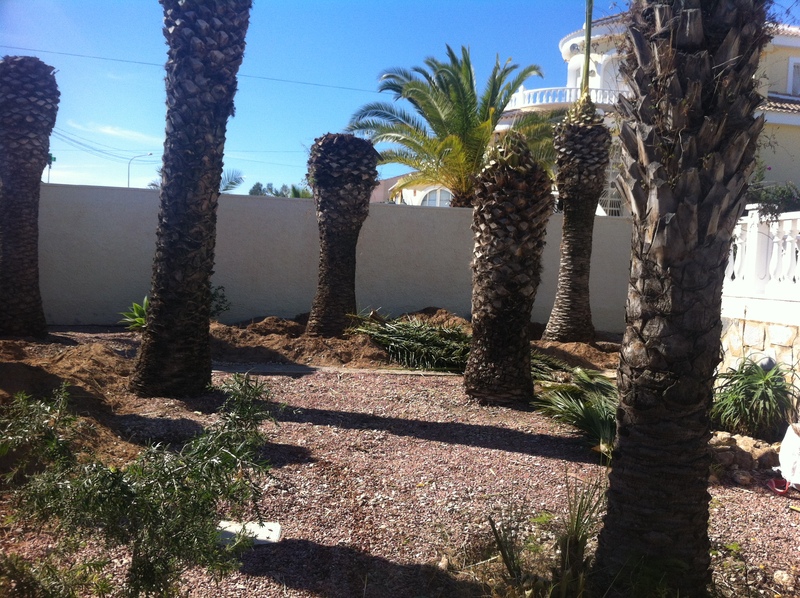 So, we clear, prepare, build, supply and lay gravel, supply and plant Palm trees. What else? Well, we install automatic watering systems (especially needed in newly established gardens). We also clear all debris and load skips. With decades of experience behind us, we are confident of handling any project. We have both an experienced electrician and a plumber ON OUR TEAM. They are reliable and obliging – highly recommended. They often help when we are installing secret lighting, water features, etc.